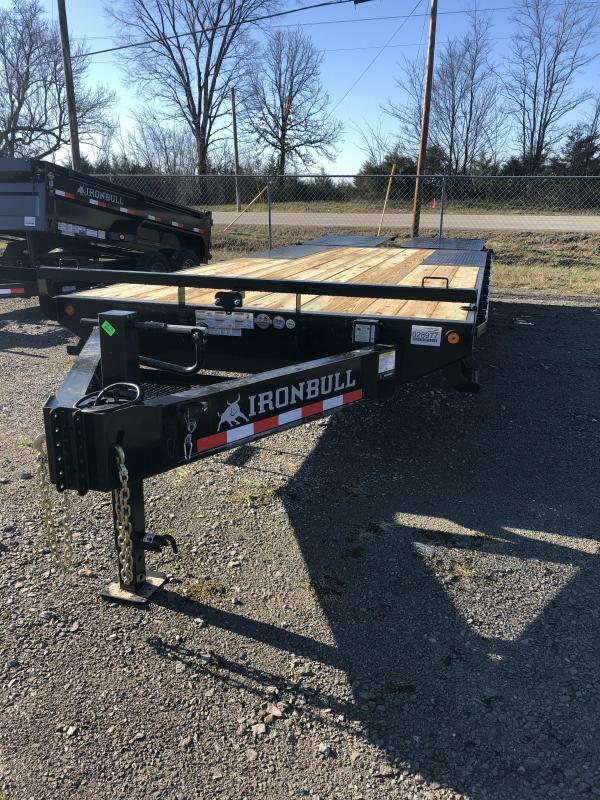 Iron Bull Pintles are some of the most rugged units in service today. 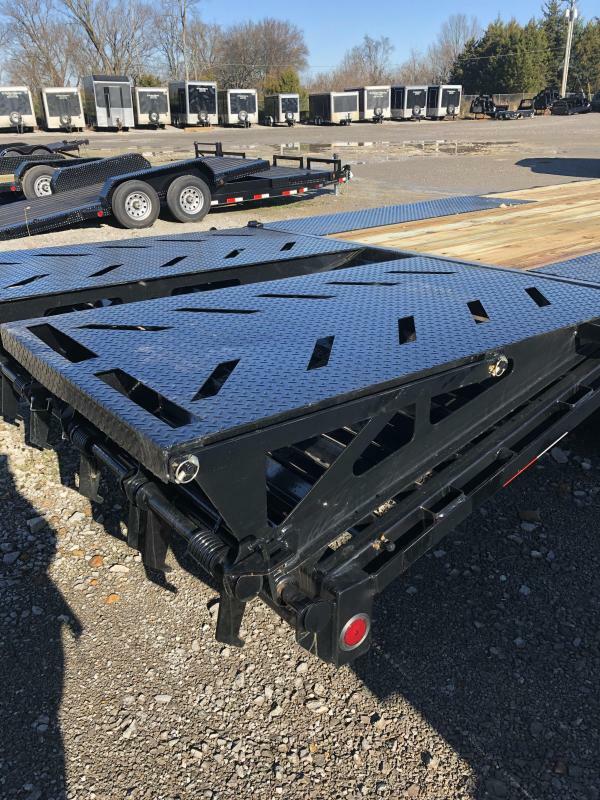 Decades of experience in our new manufacturing company have combined to create one of the most thought out trailers available today. 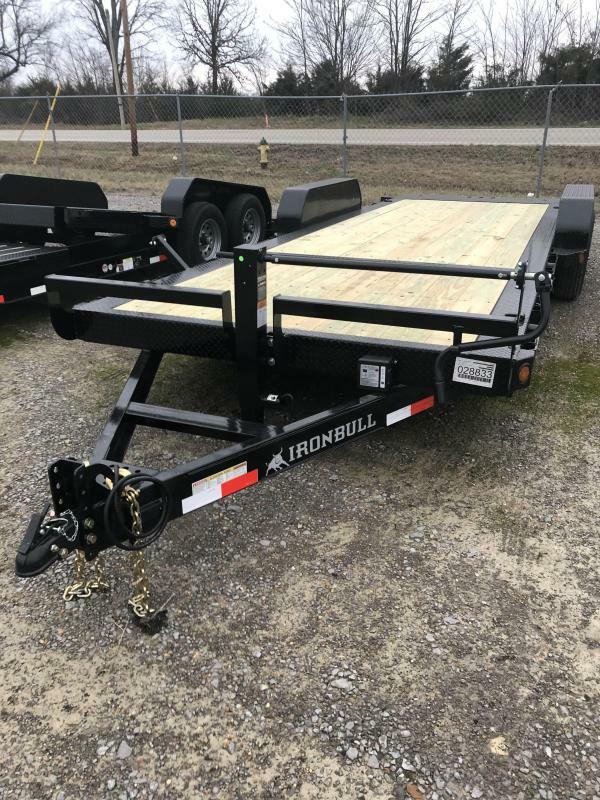 Iron Bull Deck over Pintles are built to get you there and back again and again. 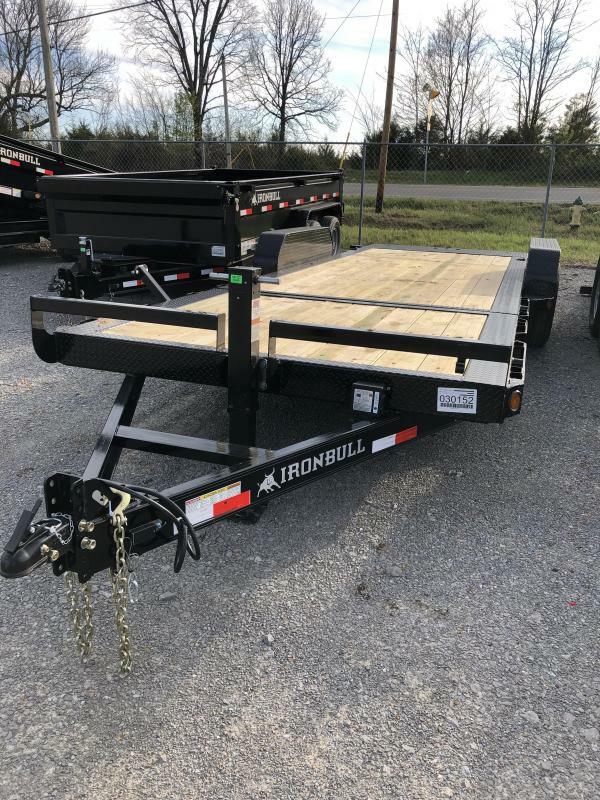 Our deck over pintles provide an entry level trailer for users that need a heavy-duty trailers, but do not need a full duty tandem dual trailer. 10" I-Beam makes up the main frame of these workhorses. 3" Channel crossmembers are standard on 16" centers and topped with 2" x 6" treated pine wood. 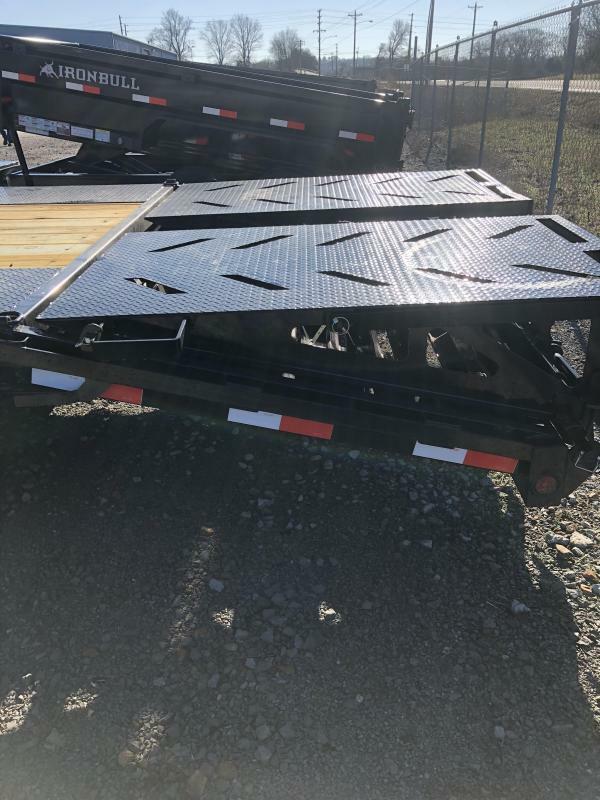 A locking toolbox is also standard on the front of each gooseneck trailer. Two 16" side steps adorn the front of each deck. 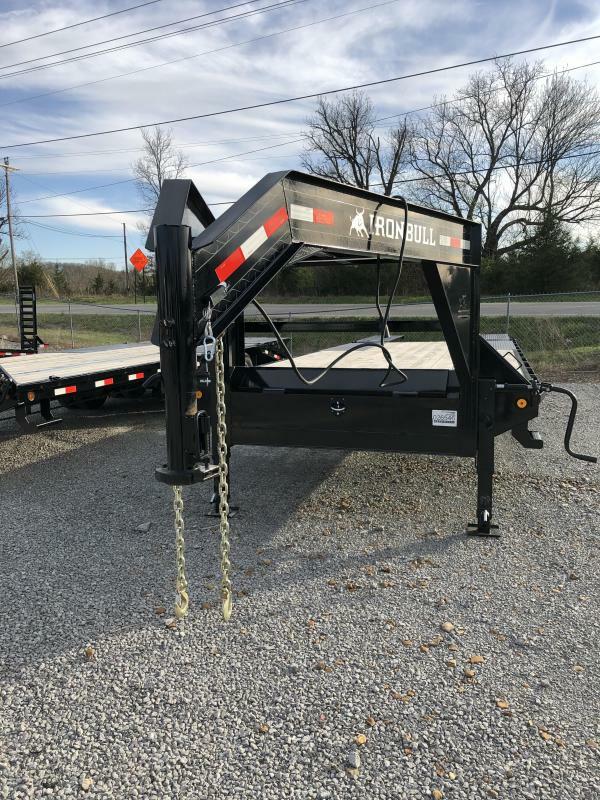 Standard -- Not an option -- and oversized to ensure stable footing each time you climb on the trailer. All wiring is in a sealed harness to help shield it from the weather. 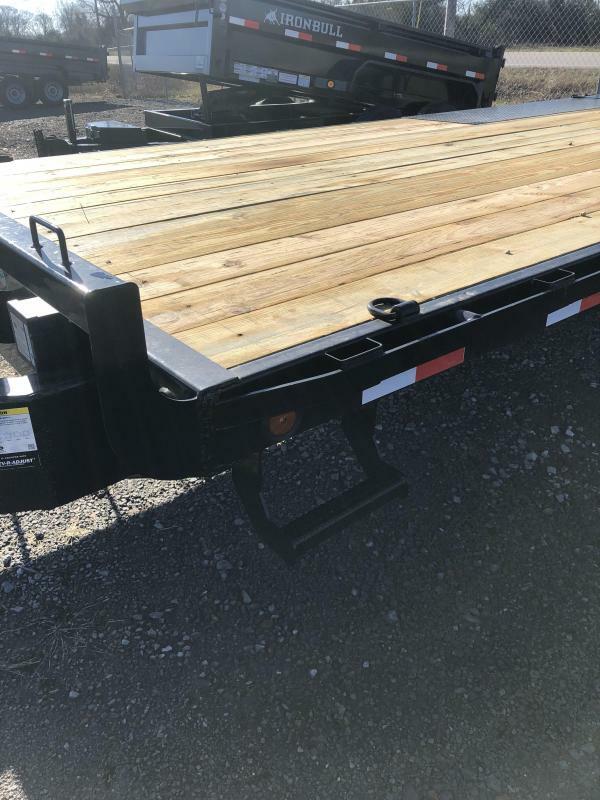 Sherwin-Williams Powdurda Powder coat gives each trailer a rugged finish with a showroom shine. USA made, lifetime recessed LEDs are provided by TecNic lighting. 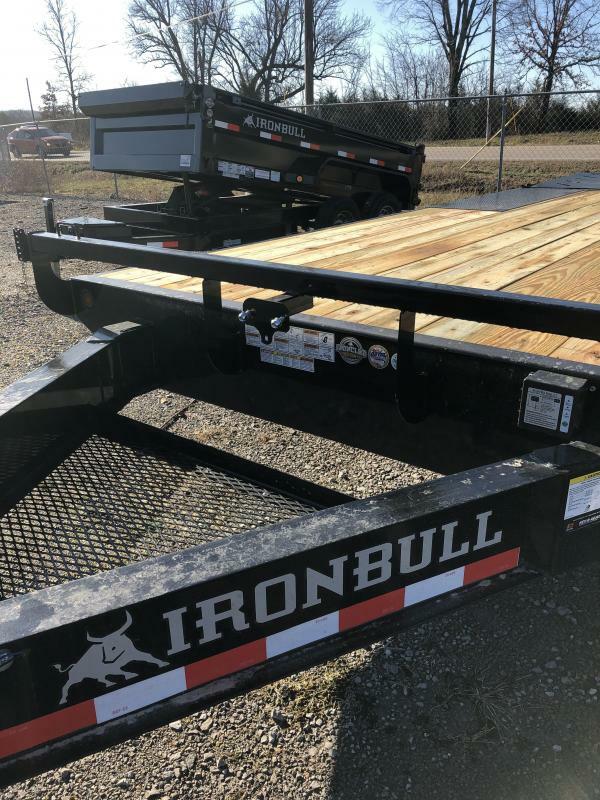 Each Iron Bull Trailer also comes equipped with stake pockets, pipe spools and rub rails as well as an adjustable coupler. 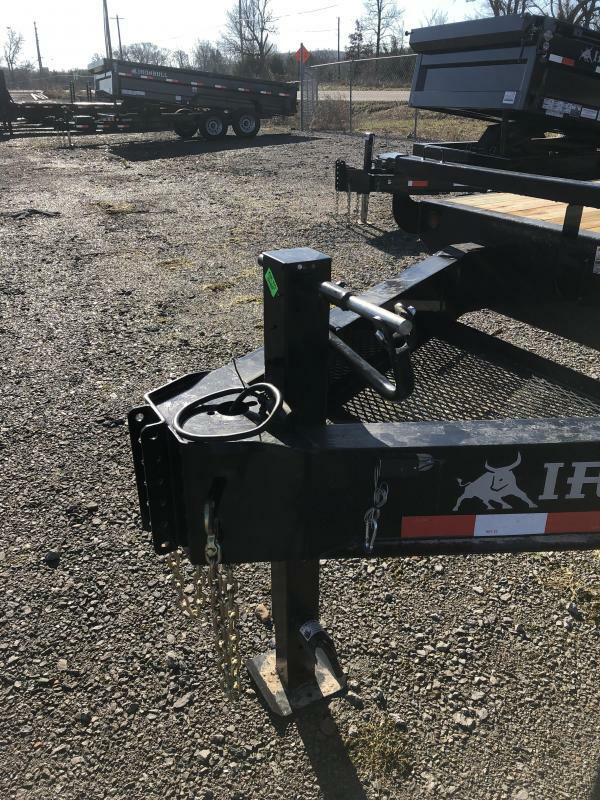 All Iron Bulls are sitting on Dexter Nev-R-Adjust brake axles and roll down the road on Provider radial tires. 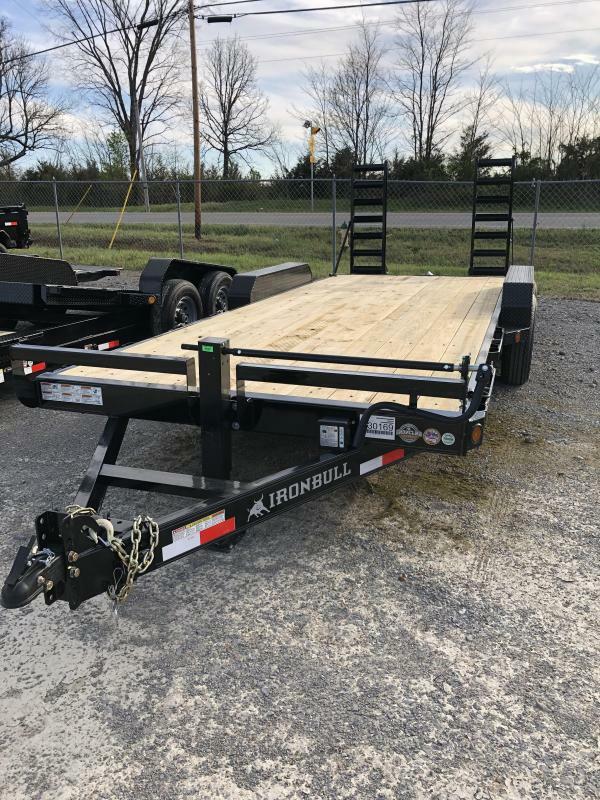 Select from our multiple tail options including our Rampage Ramps, slide in ramps, or stand up ramps and ride off with your new Iron Bull today.